Robin Wright is putting her years spent tolerating Kevin Spacey’s machinations—as well as cooking up some of her own—as the First Lady of the White House Of Cards to good use. Deadline reports the Wonder Woman actress is developing a TV series based on Kate Andersen Brower’s First Women: The Grace & Power Of America’s Modern First Ladies. Brower covered the Obama administration as a White House correspondent for Bloomberg News, and she’s also worked with CBS and Fox News. Her best-selling work of non-fiction provides new insights into the lives of 20th-century First Ladies, from Jacqueline Kennedy to Rosalynn Carter to Michelle Obama. Democratic presidential nominee Hillary Clinton’s time in the White House is also delved into, offering a glimpse at what a return to 1600 Pennsylvania Avenue could mean for the nation. Wright is directing the pilot, though it’s not quite clear from Deadline’s report where this will be some kind of docuseries, or a slightly more fictionalized account. 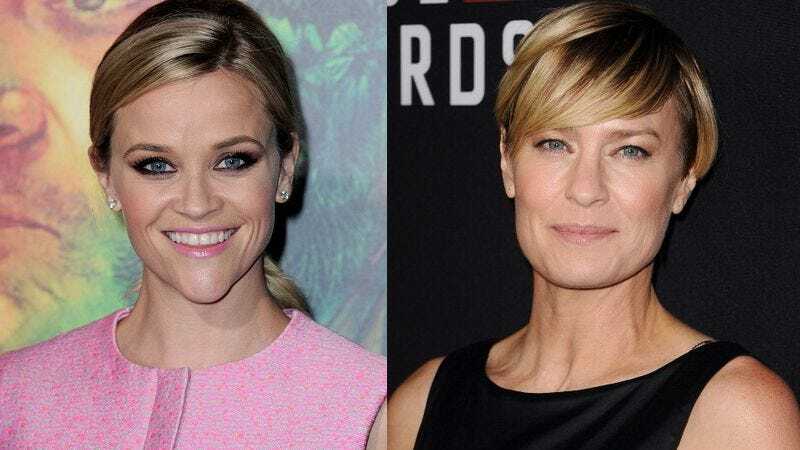 And she’ll be executive producing the series along with Reese Witherspoon, who’s played someone with similar political ambitions.